Our most unique feature on the Mulch is our Plant Care Reminders System. It's possible for you to either create your own, or use other gardeners, personalized Plant Care Reminders. 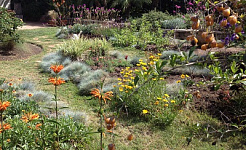 Right now we have over 2700 different plants with care reminders. For Home Gardeners: it's a great way to remember what and when to do in your garden. For Gardening Professionals: it's a great way to use your expertise as a marketing tool and a value added service. Learn More Here. Search through our Monthly Plant Care Reminders to find the plants you're growing (every time you see this icon that means there's Monthly Plant Care Reminders for that plant). View the available Monthly Plant Care Reminders by clicking on the button like this . Decide which reminders best fit your gardening habits. Click the "Use" button to have the instructions sent directly to your "My Plant Care" and "My Profile" pages. 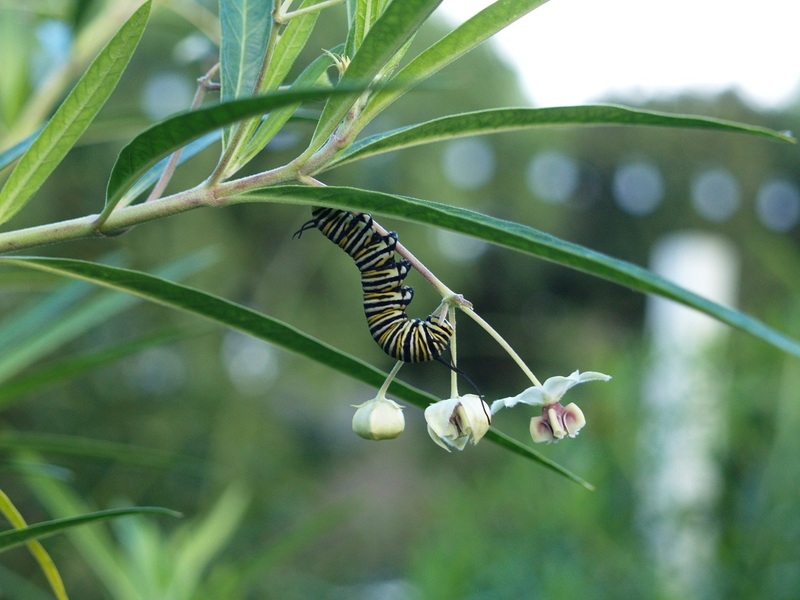 Review your "My Plant Care" to see what you should be doing that month in YOUR garden for YOUR plants! A number of ways to find the regional plant care instructions available on the Mulch. Find the Latest Plant Care and Plant Care by Group on the Plant Care Hub (menu link shown above). Find Plant Care by Plant Care Providers (menu link shown above). We realize members may want to see all of the available care instructions a specific person may have provided. So instead of looking for each plant to find plant care, you can go to the Plant Care Providers page to see all of the contributing experts and choose the care which is best for you! Pick your Climate Zone, pick a task, then see what you should be doing this month on our View All Plant Care By Month section. You can mix and match the different tasks, different climate zones and even different Plant Care Providers. Browse our complete database of available Plant Care Reminders in our View All Plant Care section. It's an easy way to see if there are any Plant Care Reminders available for the plants you have. It's alphabetical by botanical name, and there are all sorts of ways to sort and find the plants you're looking for, including climate zone and plant care provider. 2. 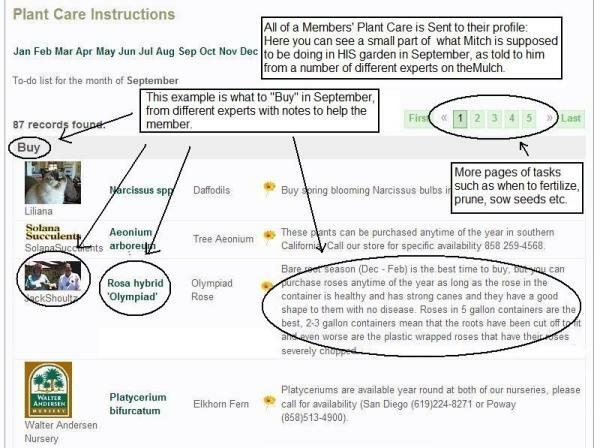 Another way to find available plant care is on the individual plant detail pages (we also call these the Plant Encyclopedia pages). Below you can see where you can find our Plant Encyclopedia. This search bar is in the top right corner of every page. You can search our Plant Encyclopedia or any other content on our website. 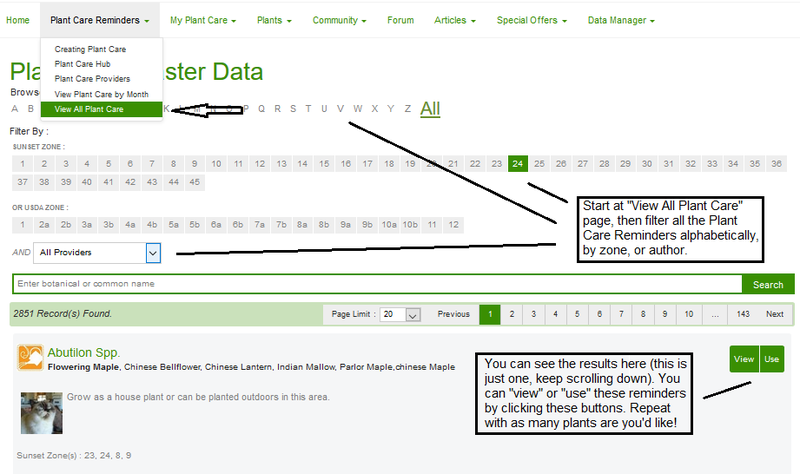 Or you can go right to our Plant Encyclopedia from our main navigation (see below). Once you've found the plant you're interested in our Plant Encyclopedia you'll end up on a page something like this. You can see the "View Plant Care" link in the example below. When you click on the "View Plant Care" link (shown above) it will show you a list of all available plant care for that specific plant (example below). 3. Another way to find Plant Care is to create a list of plants that you own (Here's a tutorial: Creating Your Personal Plant List). This is a great and important feature of the Mulch and an excellent way to start. Your "My Plants" area acts a HUB for plant information. When you add a plant to your "My Profile" page you'll see all sorts of related information about the plants you own. 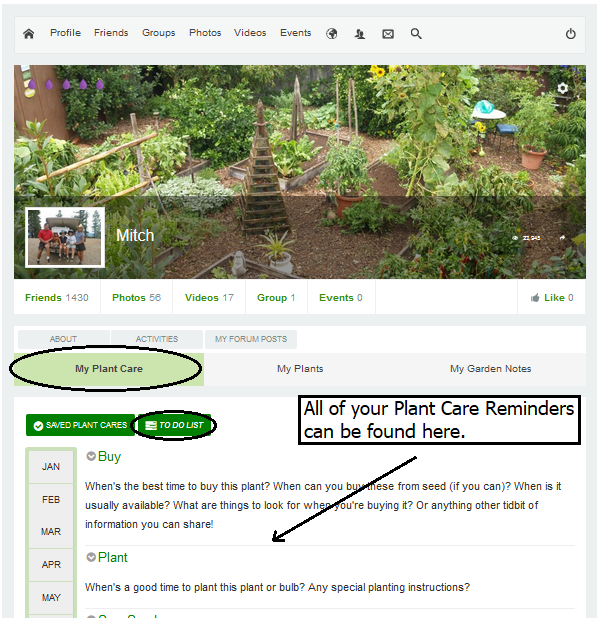 Including photos, links, a place to comment, to create private notes and most importantly Plant Care Information! Specifically. This icon is a link to all Plant Care for that specific plant. You can see the number 2, that means there are two sets of Plant Care available for this plant. Just click on the button and it will take you to the "view plant care" area (see above). Here's an example of what it one plant looks like on the "My Plants" page once you've clicked on the "USE" button. You can see lots of great information and links automatically created specifically for the plant you are growing in your garden! 4. Search our Plant Care Articles (here's the list of Plant Care Guides). We're always trying to make it easier for you to find our Plant Care Reminders, so we have a whole section of our website to read articles about Plant Care and you can even "USE" some of these articles and we'll send it right to your "MY PLANT CARE" pages! 5. Use our Plant Care Module. Here's a small example of what to BUY in September on Mitch's Plant Care list (each of 14 tasks have their own list, Fertilize, Plant, Prune etc). You can see Mitch's whole Plant List here. 1. Find the PLANT you want the instructions for, you'll see this icon . 2. View the available CARE INSTRUCTIONS. 3. Decide which instructions best fit your gardening habits. 4. Click the "Use" button to have the instructions sent directly to your "MY Profile" page. 5. Review your "My Plant Care" to see what you should be doing that month in YOUR garden for YOUR plants. One thing is for sure - CONTACT US if you have any questions! Mitch has created his own plant care calendar using other experts monthly reminders and you can see it here (just click on the little "+" sign to expand each category). The best thing is all he needed to know was the name of the plants he has and the zone he's in (Find Your Climate Zone Here). He's got reminders from Walter Andersen Nursery, Solana Succulents, Steve Brigham, Jack Shoultz and many more! YOU CAN DO EASILY DO THE SAME FOR FREE!